Consumer search patterns in the airline industry are analysed using online panel data from ComScore, a world leader in the provision of consumer analytics data based on its worldwide panel of two million users. The search process is modelled in terms of direct research with the airline websites and the use of online travel agents. It is shown that 40 % of the German online population only conduct direct research, 35 % only use an online travel agent, and that 25 % use a combination of both methods. The online consideration set based on direct research is 2.58. The interaction effect from using a combination of direct research and online travel agents is analysed using set theory. 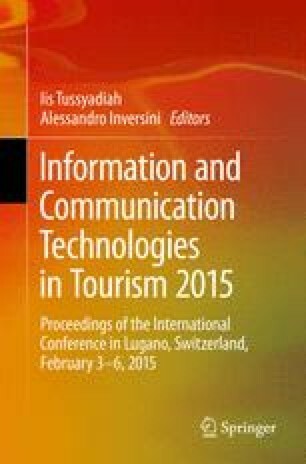 It is shown that the use of an online travel agent increases the propensity to conduct more direct research. This research is supported by the Fonds National de la Recherche, Luxembourg (7842603). The authors would like to acknowledge ComScore for providing the research data for this paper. Please see http://www.comscore.com/About-comScore for further information about ComScore. The authors have conducted the analysis and interpretation of the data, and any errors in the paper are the sole responsibility of the authors.